To end this series about the worst criminals in history, we take a look at one of the ‘best’. 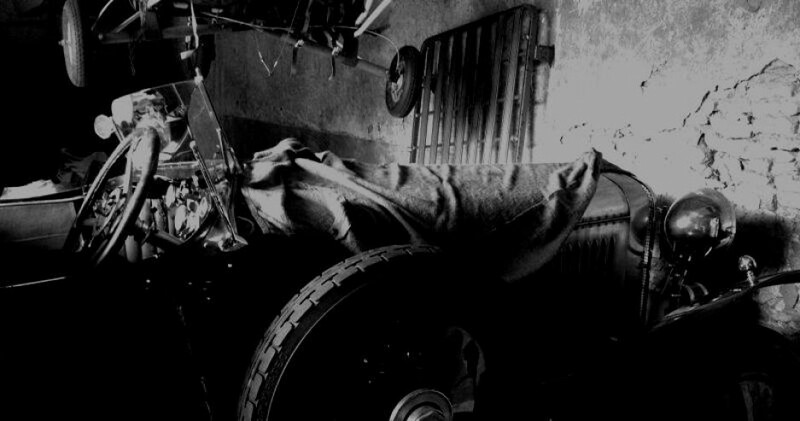 CHB loves the cars of maffioso’s, so we sorted out Al Capone for you. The world’s most famous gangster seems to have been, for his part, a Cadillac enthusiast. The king of bootleggers is reported to have owned at least two fully armored Cadillacs. Although Capone had amassed a certain amount of wealth during his reign as gang czar of Chicago, his personal net worth may have been exaggerated somewhat. The huge amounts of money made by “The Outfit” belonged and was spread amongst “The Outfit”. Capone’s share as CEO was a very sizeable one. Problem was that Capone spent it as fast as in came in. Thinking the flow would last forever, Capone was spending lavishly. He was a very bad gambler and spender, buying booze, food, funding many parties, women, hunting trips, personal trips while doting on his son, wife and family. Capone mostly bought big ticket items under his wife’s or mother’s name (two houses and a couple of cars). He did buy some things outright to his name that were brought up in his trial. Things like jewelry, furniture and renovations to his Miami home. For the cars, only 4 are bonafidely linked to Capone through court financial statements and witnesses. Two McFarlans (a 1924 and a 1926), one of which was traded in for the other. Both McFarlan automobiles were purchased at G. C. Auto, which later became McFarlan Motor Co. situated at 1217 Morse avenue. Mr. C. Buxton testified at Capone’s tax trial as having sold the two cars to Capone. Capone doled out the down payment cash and the licenses were all in Mae Capone’s name. On May 18, 1928, he purchased a 7 passenger Lincoln sedan from S&L Motor Co. He plucked down $5,380 for it. He purchased another in 1929 and one more in 1930. Only two Capone cars were known to be armored, the 1928 and the 1930 Cadillacs. The 1928 V8 Series 341-A Town Sedan featured one inch thick (2.5 centimeters) windows and windshields, a fully armored body weighing more than 3000 pounds, and a police siren hidden under the bonnet. Capone’s other armored Caddy was a V16 model that was seized by the authorities. It was registered under Mae Capone’s name and documents showed that payments were still owed to Emil Denemark Cadillac. That Cadillac had made the news when on December 14 1931, Cook County Warden David Moneypenny had unknowingly used the car for a trip to Springfield as a witness for a parole board hearing. This car was then used from 1932 to 1936 at various film promotions such as Scarface, and other gangster movies. 1931 signaled the downfall of Capone through his tax trial and he was no longer in the buying mood. The Treasury men where raiding his booze operations and what was left of his money was being eaten up by his lawyers for his income tax trial. Next up it is the turn again for ‘Dans son Jus’; as always he comes with surprising stuff, so stay tuned. And Retromobile plus the Paris auctions of RM Sotheby’s, Bonhams and Artcurial are on their way later this week.